I used my Council’s Own collection as the basis for a website (gscobadge.info) that archives the images and requirements for over 1,000 badges. My intention is to help identify mystery badges and to provide inspiration for new patch programs. Look, a Council’s Own bug! Why are they showing a photo of my desk? It is an especially thrilling moment (at least for me) when I finally identify a mystery badge. I’ve cracked the code on several this summer and decided to share them here. 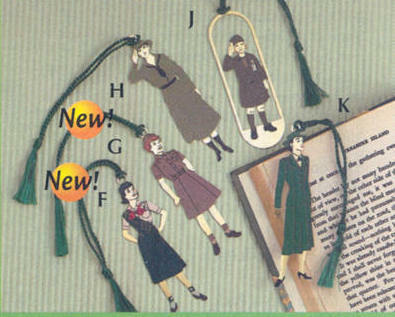 If a mystery badge is on a sash, that provides some major clues: specifically, a council and a rough date. The council indicated on an ID strip may not have created the badge, but it is a start. 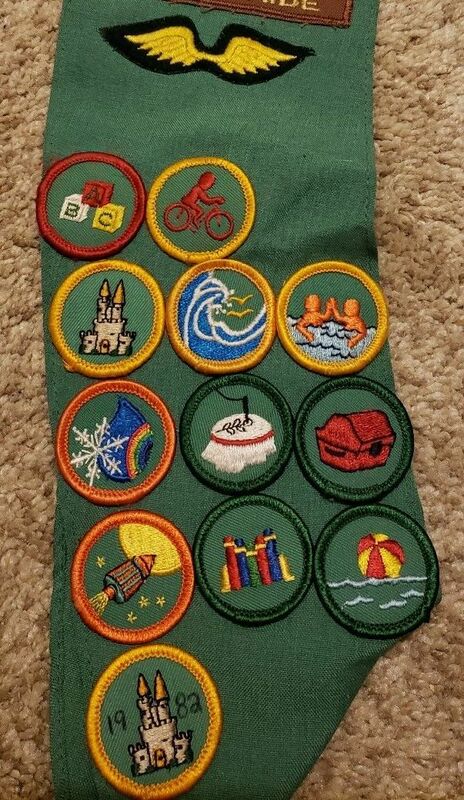 In addition to knowing the years a particular sash or vest was in use, don’t forget to look at cookie and event patches that have a specific year or two. I also regularly troll eBay and sometimes I’ll see the mystery badge there. If it’s on a sash, then there are a few more clues. Next, I do some keyword searches on Newspapers.com. I use the state and year clues to limit the results, and, lately, I’ve had some really good luck. Searching for “Girl Scout,” badge, and “Tennessee history” gave me 32 results. 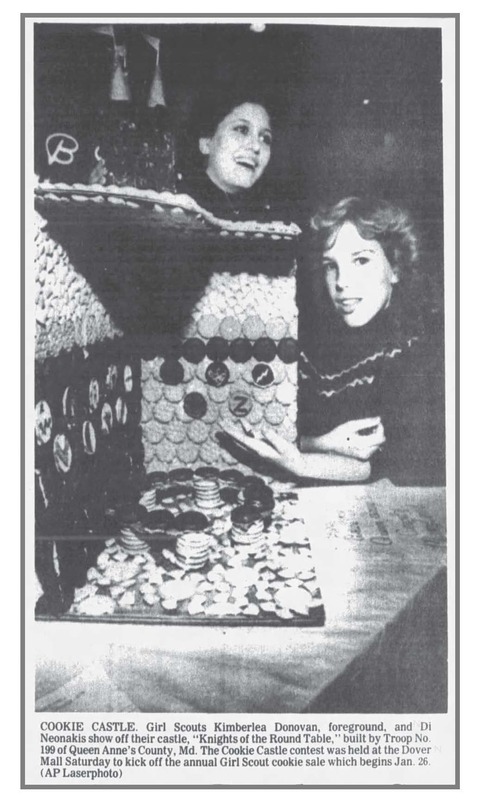 But when I limited it to the 1970s, based on the badge fabric and design, I found that a troop of girls in Reelfoot Council had created their own Tennessee History badge in 1977. The design description is a little different, but it is reasonable to think that when the badge was manufactured on a larger scale, the design became more elaborate. I also have this patch, which is likely another incarnation of this program. Staying with the Tennessee theme, I was delighted to acquire this badge around the same time. Opryland USA was a theme park in Nashville from 1972 to 1997. I grew up in Kentucky, about 2.5 hours away, and Opryland was a frequent destination for school, church, and other field trips. 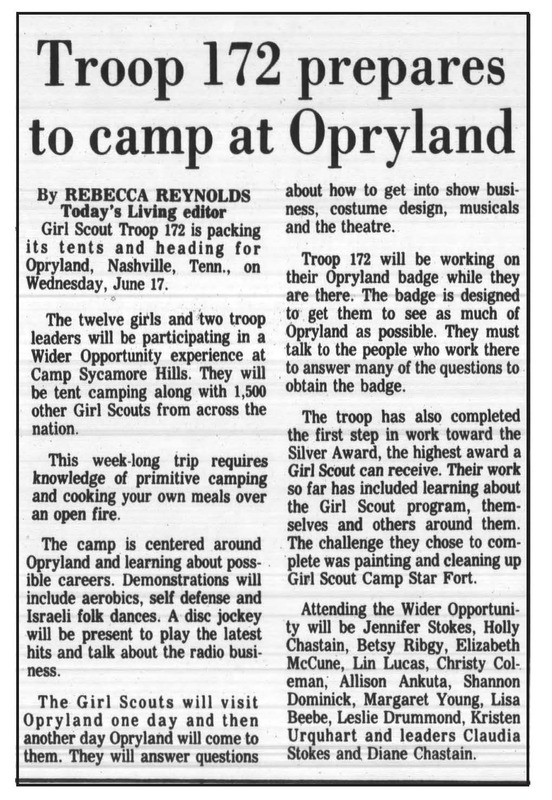 Another search on Newspapers.com turned up several clippings about Girl Scout troops going to Opryland. 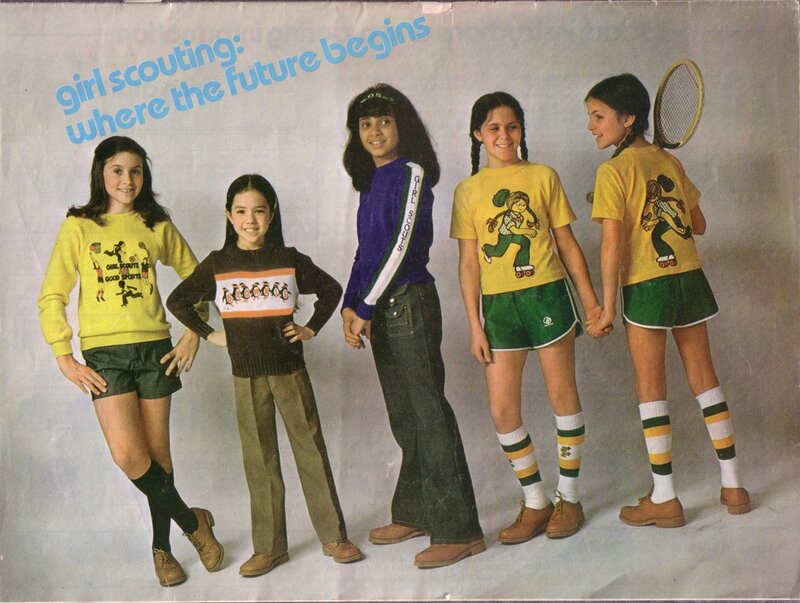 According to one, there was an annual Girl Scout weekend that included a badge. It sounds like girls had to complete a scavenger hunt across the park’s attractions to earn it. 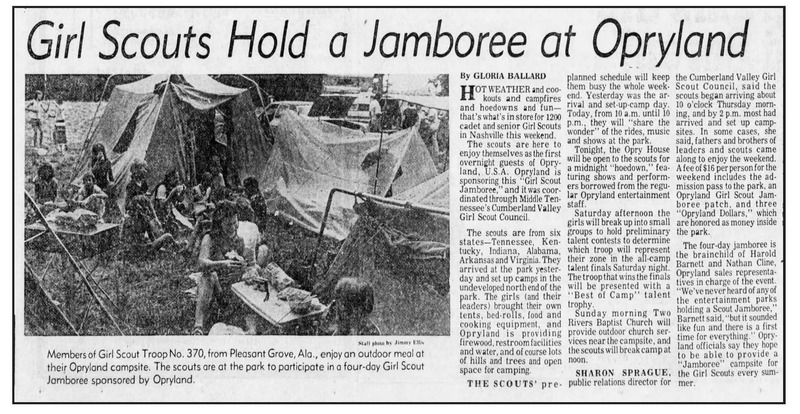 I never attended the Opryland Girl Scout weekend when I was a girl, but my troop did go to the 1982 World’s Fair in Knoxville. I didn’t know at the time there was a World’s Fair badge, but better late than never! 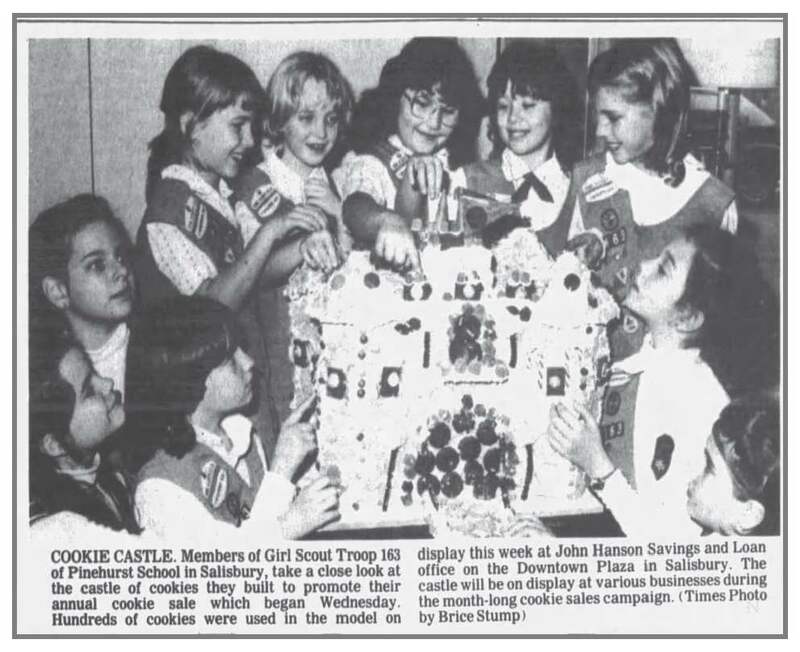 Back at Newspapers.com, I tried a search using “Girl Scout,” cookie and castle. That came up with over 12,000 hits. When I restricted the findings to 1982 and Maryland, the database returned a much more manageable four articles. 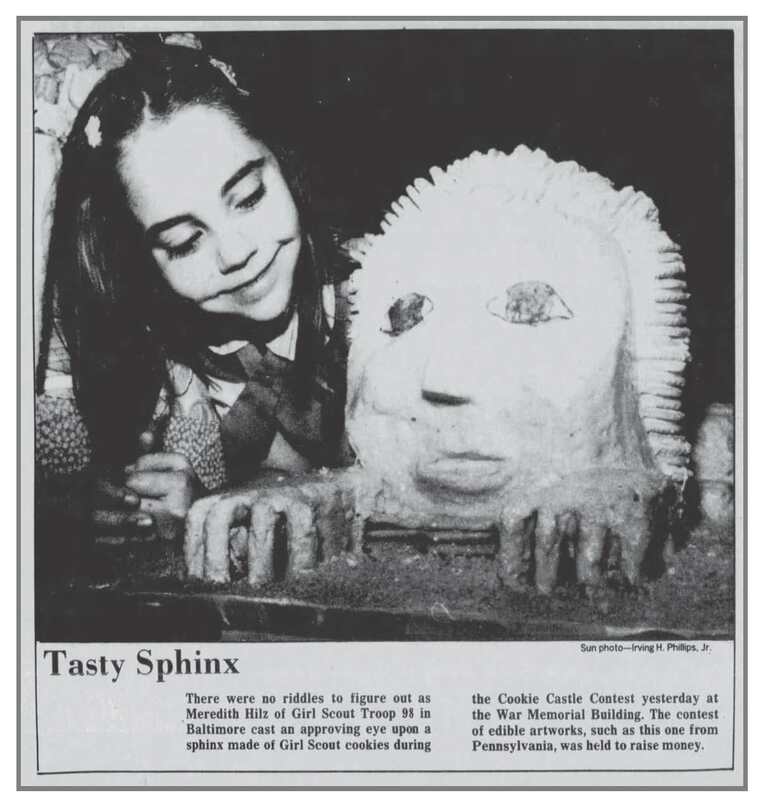 It turns out that Central Maryland sponsored an annual Cookie Castle Contest, with specific themes like fairy tales and famous landmarks. 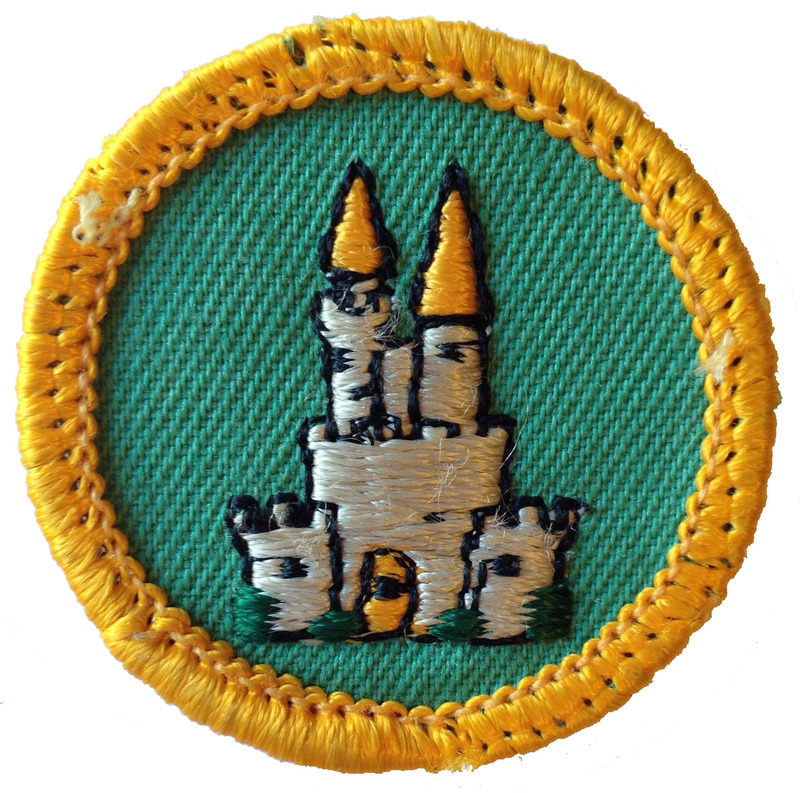 Every Girl Scout who entered received this cute castle badge. A little more searching turned up photos of some of the creations, especially as more and more councils held their own competitions. Finally, let me repeat that THESE BADGE PROGRAMS ARE DISCONTINUED. Do not contact Council shops asking to purchase them, because that triggers snippy emails asking me to take down the reference site or portions of it. Perhaps instead of getting annoyed, council shopkeepers should take the hint and reinstate or update their programs. 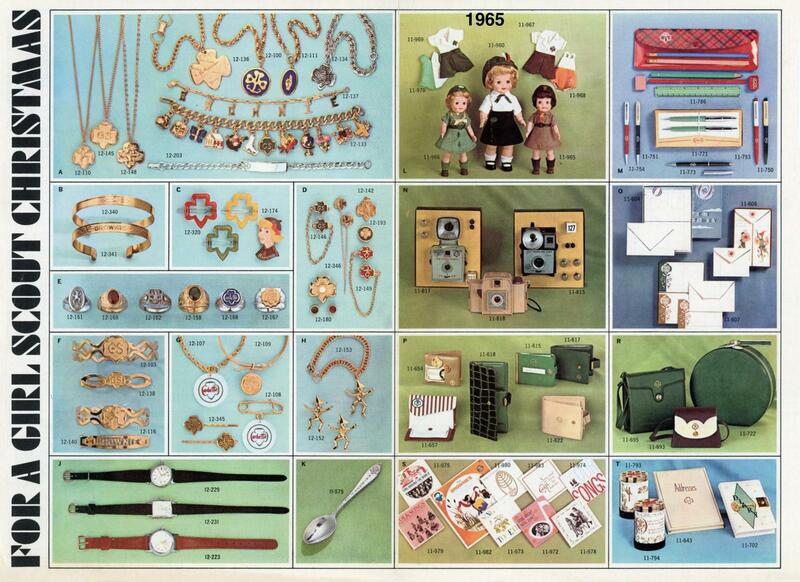 This month’s history exhibit comes straight from the pages of vintage Girl Scout Christmas catalogs. 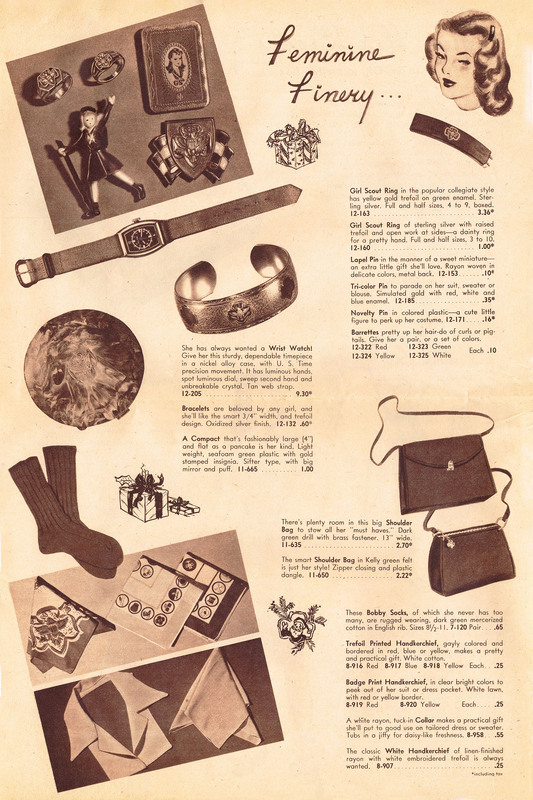 Starting in 1928, Girl Scouts published holiday-themed catalogs in addition to annual uniform and equipment catalogs. 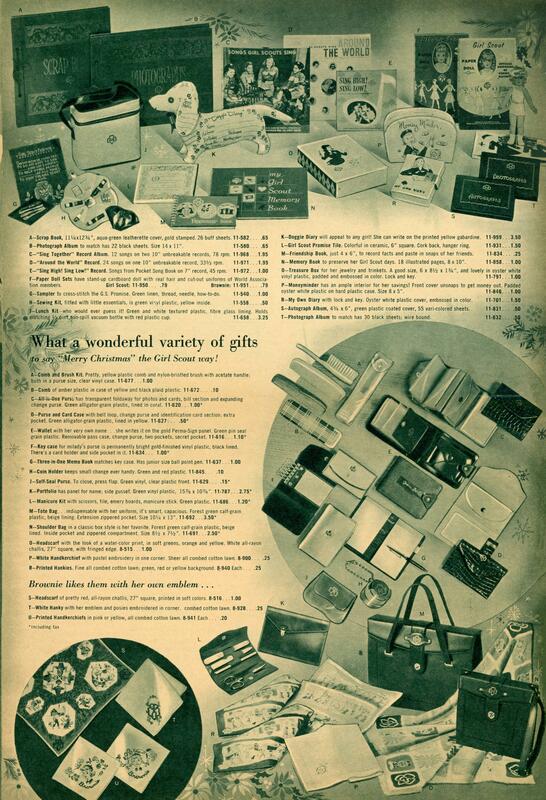 Leader magazine, when it existed, also had full-page ads with gift suggestions. 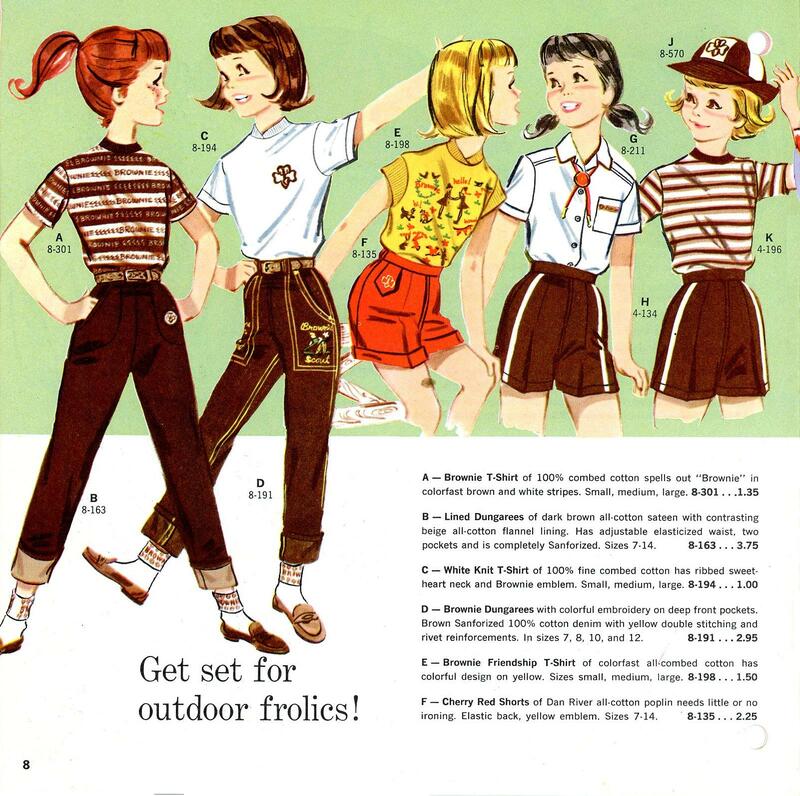 The National Equipment Service, which publishes the catalogs, sells the basics: uniforms, handbooks, badges, and camping equipment. 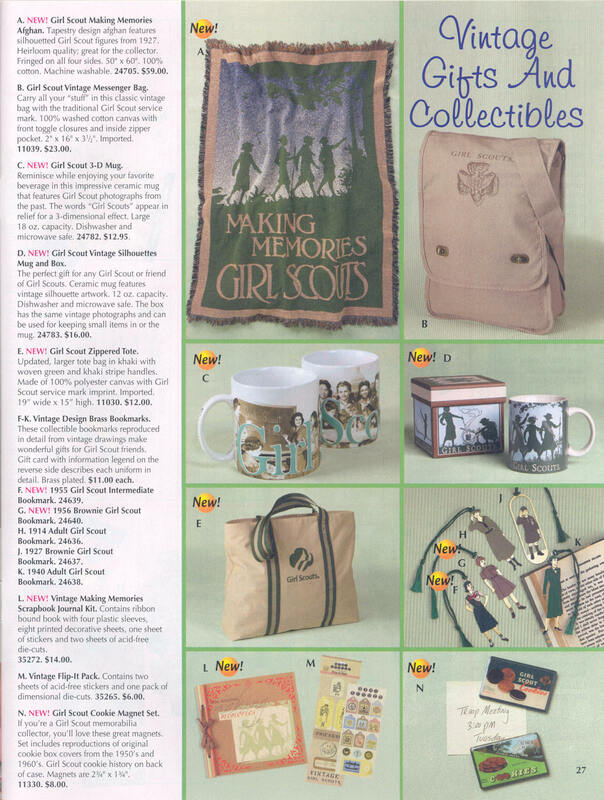 But it also sells a range of other products: jewelry, casual clothing, books, and accessories. Unfortunately, these trinkets often wind up in the trash when a girl decides she’s “outgrown” Girl Scouts. Sometimes the cheapest items become the rarest collectibles. The Archives and History Committee has many of these gems in our collection, but we rarely have the opportunity to show them off. 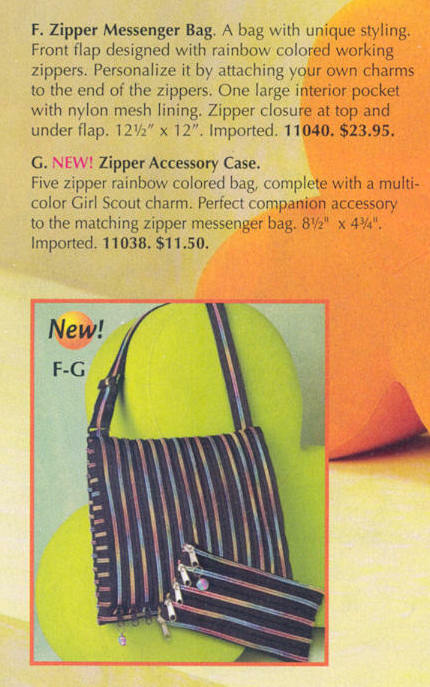 We decided to take a few pages from these catalogs and match up the items included. Brownie play clothes, pennant, dictionary, stationery, and records. Penguin sweater, headbands, trash can, wool cape, and gloves. Yes, that’s Girl Scout wrapping paper at the bottom! What’s on my wishlist this year? This stylish housecoat from the early 1940s. Don’t forget the matching slippers, too! The display will be at the Girl Scout Council of the Nation’s Capital main office, 4301 Connecticut Ave. NW, Washington, DC, through January. Items are also on display year round at our Archives and History Program Centers.